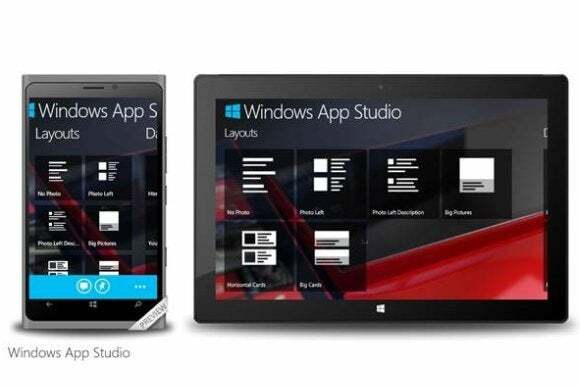 Microsoft’s App Studio beta test has been expanded to allow novice developers to build applications for Windows tablets and PCs, in addition to Windows Phone. "With this release, you can build a universal Windows app project that results in an app for Windows Phone and Windows, all in a single session," Emilio Salvador Prieto from the Windows Phone Developer Experience team declared. Once an app has been finished, users can download it directly to their device or download packages that can be published in one of Microsoft’s app stores. It is also possible to download the original source code for Windows Phone 8.0, Windows Phone 8.1, and Windows 8.1. 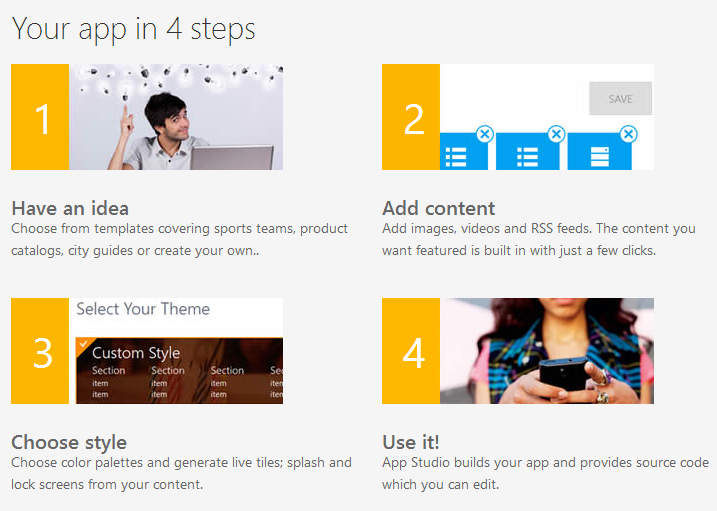 The App Studio website still has a beta tag and Microsoft didn’t announce any details on when it planned to remove it. The company is also working on making it easier for professional developers to create apps for all kinds of Windows devices. One of the big announcements at this week’s Build conference was a concept Microsoft calls universal apps, which will make it possible for developers to write one app that runs on smartphones, tablets, PCs, and the Xbox One.